FACT CHECK: Is Chick-fil-A Offering Free Food for Mother's Day? Is Chick-fil-A Offering Free Food for Mother’s Day? An image spread online promoting a Mother Day's lunch special from the restaurant chain is a hoax. Chick-fil-A is offering free Mother's Day lunches on 14 May 2017. 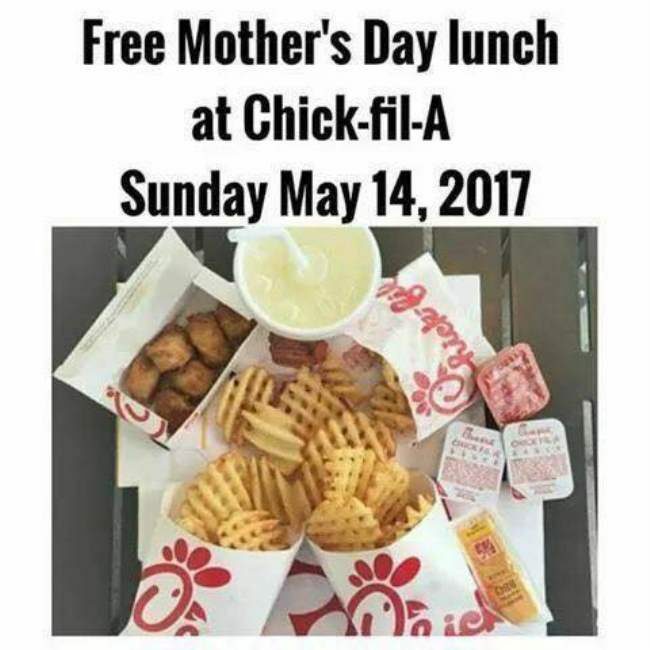 This image is a hoax, apparently designed to trick unsuspecting families to turn up to Chick-fil-A, mothers in tow, for a free meal. The offer itself is not far out of the realm of possibility, as the fast food chain does often offer free meals and promotional deals tied to specific holidays. A spokesperson for the company told us that one of its stores in Flemington, New Jersey, offered free foods for moms who visited on 14 May 2017, the day before Mother’s Day. 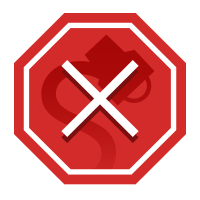 I was not so committed to financial success that I was willing to abandon my principles and priorities. One of the most visible examples of this is our decision to close on Sunday. Our decision to close on Sunday was our way of honoring God and of directing our attention to things that mattered more than our business. We have more than 80,000 team members that represent almost every point of diversity and lifestyle. This day off is for people to spend time with their friends, their families, to do what they want. They absolutely have the choice to do whatever they want on their day off. Truett Cathy’s choice was based just as much in the practical points of running a business as his beliefs. Individual Chick-fil-A locations have been allowed to open and donate food following tragic events. Dallas-area stores did so in December 2015 following a rash of tornadoes that killed 11 people in Texas. Employees at locations in Orlando also donated sandwiches and ice tea to police and blood donors following the mass shooting attack at the Pulse nightclub in June 2016. In this case, though, the promise and lure of a free meal is nothing more than a hoax, once again proving that there is no such thing as a free lunch. truettcathy.com. Accessed 13 May 2017.